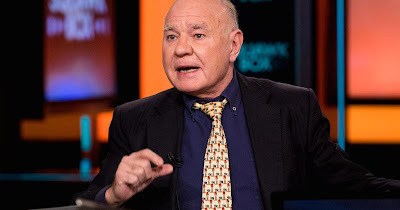 Asserting that the central banks in Europe and Japan will keep feeding excess liquidity to the world, Marc Faber believes that the US Fed is not expanding its asset base. While European Central Bank and Bank of Japan are doing so, flows out of Europe and Japan will lead to weakening of the euro and yen and strengthen the dollar, he said. The editor of Gloom Bloom & Doom Report told CNBC-TV18 that contrary to popular opinion that emerging markets have performed poorly in 2016, any market outside the US looks very attractive now especially in terms of valuations. Investors are too bullish about the US, negative about emerging markets, and are neglecting Japan and Europe, he said. India is much better placed and has greater potential to grow than Western economies, Faber said. Corporate profits have still room to expand, he added. Fundamentally, the dollar is overvalued and valuations in US markets are at historical highs, he said. Any further strengthening of the US dollar will curb the US Federal Reserve’s capability to raise interest rates, Faber said. The Fed on Thursday raised rates by 25 basis points and in the past indicated the possibility of three interest rate hikes in 2017. Oil and mining companies, financials and tech figure among his favourite sectors for 2017, he said, adding that he sees a lot of upside potential in agricultural commodities.